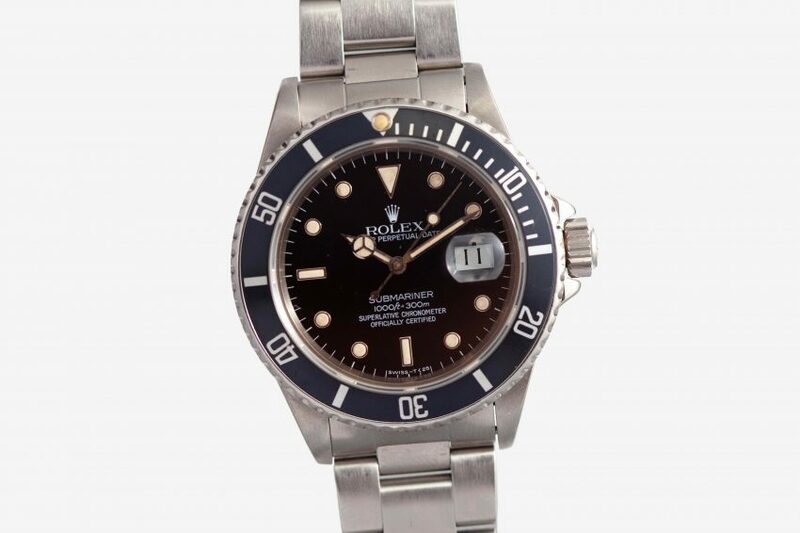 The Rolex Submariner 16800 is arguably in the top 5 of classic Submariner references (behind the two line date and no-date, and the Milsub, perhaps). Regardless, it’s an icon for a reason, and this version looks exactly like the kind of tool watch that’s earned its title. It’s bezel has faded from sun exposure into an almost blueish color, and its lume pip at the 12 o’clock position, along with the markers and hands, have gone totally custard with patina. Its dial is the four line execution, featuring the “Superlative Chronometer, Officially Certified” script at the 6 o’clock position, along with a date window and cyclops date magnifier at 3 o’clock. On its original Oyster Bracelet, this really is a Sub for those who want one, but want something a bit funky.